Labour’s 16-page manifesto – A Vision for Birmingham – has been regarded as the most comprehensive election document produced by the party for years and was written for the first time in conjunction with the city’s Labour MPs. 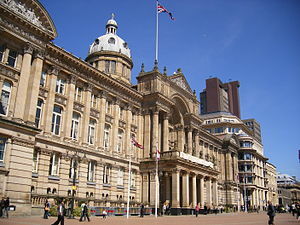 Neither the Conservative Party nor the Liberal Democrat Party has produced a Birmingham-wide manifesto for the council elections, and there appears to be a growing acceptance from both partners that the coalition will find itself out of office on May 4. Government ministers have been noticeable in Birmingham only by their absence, while the city’s Tory and Lib Dem cabinet members have not bothered to challenge Labour manifesto pledges failing even to ask know how the £1.2 million required for council wage increases is to be found. The coalition, it would seem, is sulking in silence. Labour needs to make a net gain of just four seats to win control in Birmingham – an outcome that is likely to prompt a triumphant visit to the city by party leader Ed Miliband. It is possible, if recent opinion polls are to be believed, that Labour could pick up a dozen seats taking the party to its strongest position in the council chamber for 10 years. Shadow Home Secretary Yvette Cooper was in Birmingham to talk about the Victims Champion initiative amid growing signs that Labour intends to make the most out of the near certainty that the party will regain control of the city council on May 3. Her visit was followed by an announcement that Labour would radically alter the structure of the council cabinet upon taking control. Two new posts are planned, with one cabinet member taking charge of green issues and another with responsibility for social cohesion. Labour leader Sir Albert Bore plans to establish four commissions led by the business, community and academic sectors to drive forward ‘Green City’ and ‘Smart City’ agendas. Sir Albert said the commissions would work to tight timetables and be given clear targets against which they could be measured. A Smart City group will look at ways of harnessing new and emerging technology to provide more efficient and responsive services. This would include an expansion of digital and social media services to provide citizen information by exploiting new opportunities offered by G4 mobile services. It could also see the introduction of a Birmingham or West Midlands smart card for public transport services, smart phone apps, and cashless smart phone payments, Sir Albert said. A Green City group will aim to reduce carbon emissions from council buildings and vehicles by 60 per cent and introduce green planning and transportation policies. 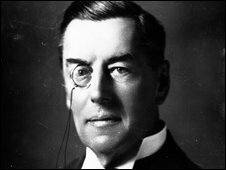 Sir Albert said he expected a retrofit of public and private buildings with energy saving measures would deliver a reduction in carbon footprint, improve the quality and affordability of homes, and address the issue of fuel poverty. There would be a City Energy Plan using smart initiatives and technologies. Two other commissions, focusing on a safe and fair city, will examine ways of tacking anti-social behaviour and domestic violence as well as looking at how to deliver improved living standards for “people in greatest need”. Expect all the ‘new’ jobs for the boys to only include those who are Labour Party members or have leanings towards that Party…so no real change!